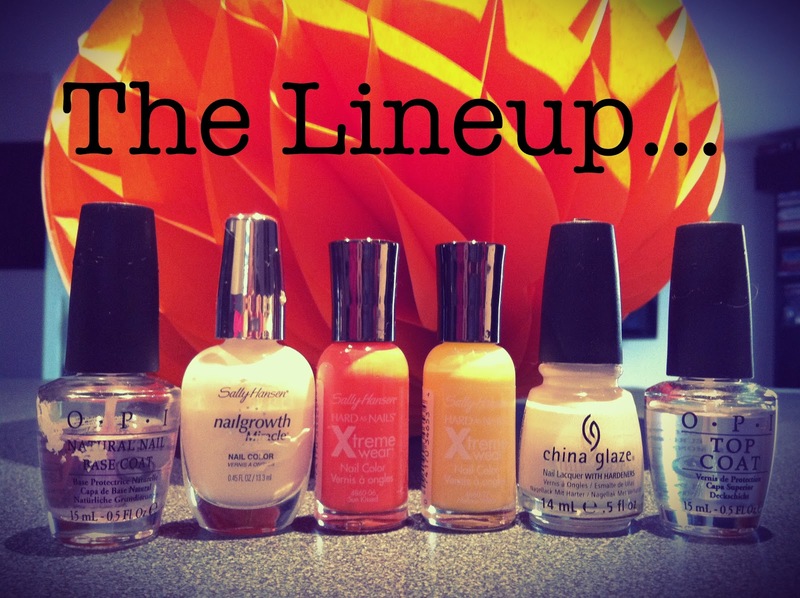 An Awesome Life: Candy Corn Nails - So Simple! Halloween is right around the corner and while I typically don't get too invested in it, I decided to dust off some decorations and get into the spirit this year. After raiding the Halloween aisle at the dollar store and covering the inside of the house in all things Halloween, I decided that I should do something festive with my nails. Read on for an easy tutorial for Candy Corn Nails! 1) Apply a base coat. As you can see, I use O.P.I. for both my base and top coats. 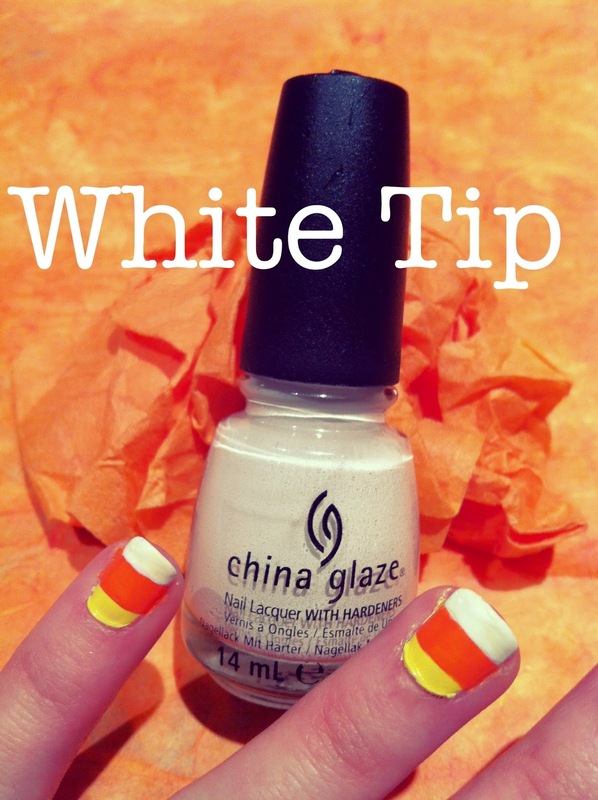 2) Apply a white base to allow the yellow and orange to "pop". I applied two thin layers to allow for faster dry-time. 3) Apply yellow polish to the whole nail, taking care to make the top of the nail smooth as that's the part that will be showing in the end. I LOVE this line of polish. It dries quickly with a smooth/shiny finish and the colours are brilliant! 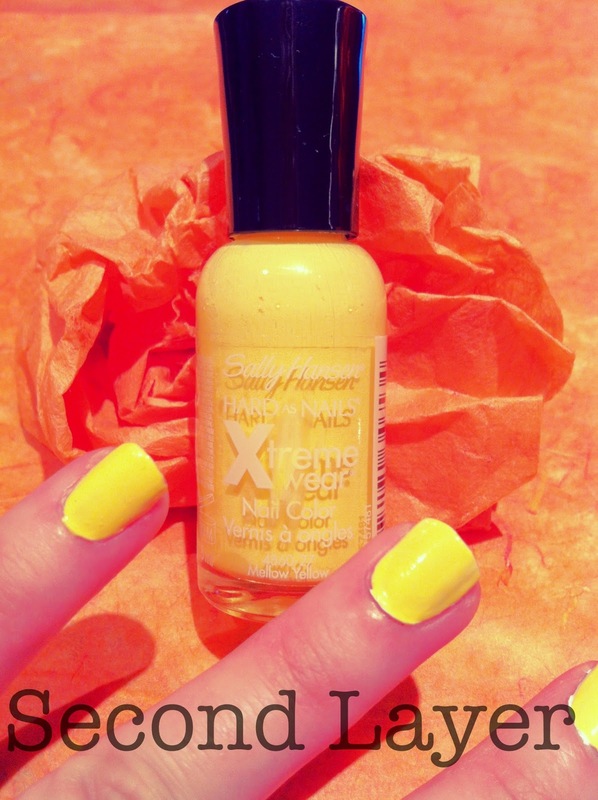 4) Apply an even strip of orange in the center of the nail. I just used the normal width of the brush stroke. 5) Apply a white tip, covering up the yellow. You will probably have to do several (thin) coats. 7) Apply a top coat to seal it all in. And there you have it - Candy Corn Nails. Perfect for Halloween! If I were to do it again, I may not paint the yellow all the way to the tip because it was rather difficult to cover it with the white. Speaking of which, do you have any recommendations for a killer white polish? Every single one I have tried either bubbles or cracks, no matter what I do. I'd also love to see any awesome Halloween or Autumn-themed nails that you have tried. Leave your response in the comments.